Gates Of Hell, black vinyl, insert, Spirited, song-first classic metal with a NWOBHM twist from the dusty Australian terrain.Sophomore album from Australian vintage metal bangers Convent Guilt, a band whose melodic class and songwriting smarts is equaled by their intelligent, thoughtful lyrics. When Convent Guilt founder Ian was trying to come up with a band name, he reflected upon the monikers that had the most meaning to him. Black Sabbath and Judas Priest were two obvious starting points, bands that used polarity in their names to not only drive home a point, but also left a lasting impression. Not wanting to go down the oft-used path of having ?steel? or ?witch? in their name, Ian selected Convent Guilt as a way to represent the human race?s ongoing struggle with temptation and sin. As a bonus, the Convent Guilt name would never box in the band to one specific style, a path they?ve since followed since their 2010 formation. In 2012, Convent Guilt (who are currently rounded out by the guitar tandem of Andrew and Dario and drummer Brent) released their self-titled demo which quickly caught the attention of both Cruz Del Sur Music and Shadow Kingdom Records. The labels teamed up to release the band?s Guns For Hire debut in 2014, an album that was lauded for its compositional abilities and NWOBHM tendencies. Four years later, the Sydney, Australia quartet is back with the seven-song Diamond Cut Diamond. Diamond Cut Diamond was recorded at various locations around Sydney in the first half of 2018 by Lachie Vercoe, who was also responsible for the album?s mix. The album was mastered by Patrick Engel at Temple Of Disharmony and features striking cover art courtesy of Lena Richter of Diamonds and Rust Tattoo that depicts a strong colonial Australian image. The attention to detail in all facets by Convent Guilt pays dividends ? 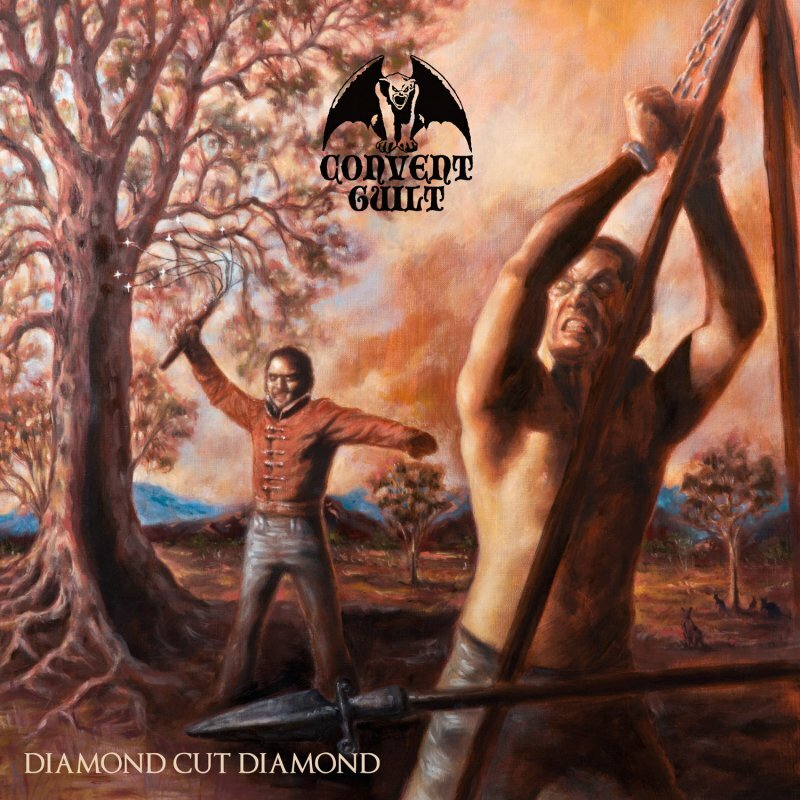 Diamond Cut Diamond is an album that harnesses the band?s metallic emotion and energy while working in topics that many classic metal bands won?t touch: conquerors and the subjugated, the inbuilt weakness of men, depression-era outlaws and the insanity of social media. An album perfectly suited for the NWOBHM brigade of Iron Maiden, Saxon and Trespass, not to mention Thin Lizzy and UFO, Diamond Cut Diamond is as genuine a true metal release as you?ll find in 2018.